S Differential is broad S Final diagnosis not obtained in 20% cases. S Hypoglycemia S Head trauma and whiplash injuries. system compensation for inner ear deficits. S Persistent vertigo S Severe vertigo S Without hearing loss S Typically post viral S URI S Generally self limited S 2-3 days. central nervous system compensation for inner ear deficits. Report "S Diagnostic approach to evaluation. S Treatment modalities. 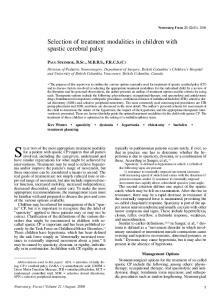 S Effectiveness of treatment modalities. S Symptoms are nonspecific"